At this writing it’s still two months until the Ryder Cup will be played at Le Golf National outside Paris. Italian star Francesco Molinari’s British Open win over two likely European Team and two possible American team members plus a final day push from Tiger Woods was the impetus for many to start speculating on team makeup and which squad will triumph in France. Well, I enjoy speculating as much as the next guy and felt it might be worth the exercise to look at teamed picked based on the respective current Ryder Cup points list with Official World Golf Rankings (OWGR) and PGA Tour putting rank used to select the captain’s picks. Obviously, this isn’t perfect but then no method is without flaws. What is true though is the OWGR shows how players have done against every other ranked player and because the Ryder Cup usually comes down to putting, the relative prowess of the two teams is relevant. For all its shortcomings the OWGR is a way to compare players over the world’s professional events not just those on the European and PGA Tours but I have always taken them with a healthy dose of skepticism. Without belaboring the point, Rickie Fowler earned 48 ranking points for wining the Hero World Challenge against a field of just 18 players. If I was one of the world top 25 and didn’t get an invitation from the host who happened to be Tiger Woods that would really have upset me. It’s hard to make a case for including limited field events in the OWGR calculations and the fact is two weeks later Justin Rose won the Indonesian Masters but due to the strength of the field earned just 24 OWGR points. Still it was a full field event not a just a dozen and a half however, they didn’t ask me if this is fair nor do I expect they will. The other indicator for Ryder Cup performance is putting performance ranking and these statistics are fairly straightforward. Team USA will be made up of the top eight in Ryder Cup points through the PGA Championship with Captain Jim Furyk having four picks. European Captain Thomas Bjørn will have the first four players on the Ryder Cup points list plus the top four on the World Points list and four captain’s picks. Since many of the European stars play much of the season on the U.S. tour the qualifications were modified. Team lists presume those qualifying on points will stay the same and the only leeway is in those tapped by the captains. Two caveats. First is the information used was current as of the British Open and second my crystal ball broke in 1983. Here is my list of who will be on each team. Some comments and rationalization about the captain’s picks. Furyk will pick Lefty and Tiger almost regardless of how they are playing and since Woods is already one of the team’s vice captains it will save a set of uniforms. DeChambeau and Schauffele are the best of the young talent but its tough to leave veterans Matt Kuchar or Kevin Kisner out unless of course one of them wins the PGA. The European Team’s first big question is can Molinari continue to be the world beater he has been the past six weeks? Chances are the answer is no…the same answer as to whether McIlroy’s putter will show up and whether Rahm can control his emotions. Poulter is a pick for the same reason as Sergio. Bjørn needs them and though Sergio is playing poorly Poulter won the Houston Open the week before the Masters. In any event you can’t imagine a Euro team without them. 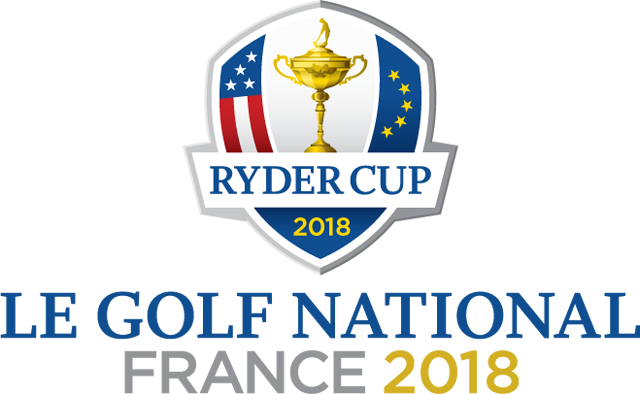 With Ryder Cup experience an important factor the European team appears to have a disadvantage with five rookies (Hatton, Fleetwood, Rahm, Olesen and Fitzpatrick) versus three for the USA (Thomas, DeChambeau and Schauffele) and this might be a big difference. Team USA has an average OWGR of 15.5 to 19.1 which again may be an indicator of performance. In putting, which is often the difference in winning and losing, American’s have a definite edge with an average rank in total putting of 58.9 versus 69.3 for the Europeans. This could help to make up for the European fans who are expected to be a loud and partisan. After all this that passes for analysis my guess is Team USA retains Samuel Ryder’s cup 16 to 12.